In 2019 our Season Ticket Holders will continue to shape our creative direction. This year we’ve seen you respond with open arms to work that challenges, to work that entertains, and to work that makes fun of every single one of us. We all know that live performance experiences are as varied as the audiences who come out in droves to see them, and we’re honoured to present you with a 2019 season that has something for everyone in it. With the construction of Constitution Place scheduled for completion in 2020 we see the beginning of a precinct around the Canberra Theatre Centre. This change is exciting for us as a venue, and for our community of arts participants. Just as we’re seeing the construction mount on the physical landscape, we’re building our capacity to deliver an increased and more diverse program with greater economic impact to both our precinct and greater Canberra. In the last year we attracted 278,000+ people to the Civic precinct, which translated to a $5.5 million spend in the area. We attracted 32,756 out of town visitors to Canberra and contributed $19.2M to the visitor economy, and $29.7M to the ACT economy. We hosted 14,997 students from 173 different schools and provided 620 tickets to patrons who couldn’t otherwise have a theatre experience through our Social Capital Initiative. When I look through the shows that the team have assembled as our 2019 season, I’m delighted to see such an exciting mix of classics and breathtaking new work. 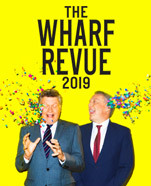 This year we’ll see favourites The Wharf Revue and Bell Shakespeare returning to our stages, and enjoy Nakkiah Lui’s brand new work, How To Rule The World. There’s no audience in the country that enjoys a political comedy quite like Canberra, so Jonathan Biggins’ Paul Keating bio-piece, The Gospel According To Paul is sure to delight. 2019 is a year for celebration, with significant birthdays happening for both Bangarra Dance Theatre and Sydney Dance Company. 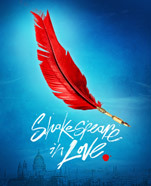 In exciting news, we’re delighted to announce that Melbourne Theatre Company have secured an exclusive licence from Disney Theatrical Productions to bring us their adaptation of Shakespeare In Love. The film won seven Academy Awards in 1998 and delighted a generation. Now we look forward to sharing the story with you all again in 2019. There’s something in this season for everyone to love! We look forward to seeing you at the theatre. Don’t miss out on the best theatre to come to Canberra in 2019! Become a Season Ticket Holder to guarantee your prime seat, save money with exclusive discounts (up to 21 per cent!) and enjoy special benefits that will last the entire year. Get guaranteed access to the best seats in the house before tickets go on sale to the public. Existing Season Ticket Holders get the very first pick on all shows during a priority renewal period, which runs until 16 November 2018. All Season Ticket bookings are processed in order of receipt – so get in quick. Save up to $21 off full-price tickets, plus further discounts and savings for concessions and people under 30. Buy four or more season tickets to take advantage of our reduced prices to special add-on shows, like Arlo Guthrie and Nicole Car & Etienne Dupuis. Special discounted tickets for selected performances are available for your family and friends, so you can make it a fun night out for everyone. Remember that additional tickets are available only when you purchase your Season Ticket package. Don’t stress if your plans change. We can exchange your tickets free of charge for another performance of the same production – provided seats are available. Conditions apply, refer to our website for details. Worried about the upfront cost? We have you covered – you have the option to pay half of your season ticket now and the other half on 1 April 2019. Book tickets to a Gala Opening Night and gain access to an après-show function where you can mingle with the stars and crew, and enjoy a drink and canapés on us! Save a minimum of 20% off the price of house beer, wine, and sparkling. Spend more time socialising during interval and less time waiting at the bar by purchasing discounted drink vouchers that you can use to pre-order your interval drinks on the night of a show. Be first in line for tickets to see other must-see events that come to the Canberra Theatre Centre. Season Ticket Holders who receive our INBOX e-news alerts can buy tickets for big productions before they go on public sale. Throughout the 2019 Season, you’ll be invited to attend our Take Part series of events, specially curated for those who love theatre most. At our forums, Q&As and In Conversation events, you’ll have access to the creative teams behind each production. It’s your chance to learn more about the productions, the artists and their inspirations, and ask the questions you’ve always wanted answered. Canberra Theatre Centre has a range of seating to ensure its venues and shows are accessible to all. If you have access or special requirements, please post your booking form to us instead of using our online form. We will select tickets to suit your needs, as these seats are unable to be booked online. Please specify your requirements at the time of booking by ticking the appropriate space on your Season Ticket booking form. You will then be issued with a ticket for the service you have reserved as part of your Season Ticket package. All devices can be collected from the Canberra Theatre Centre Cloak Room. Please see the show pages or the diary pages for the dates of dedicated access performances. Wheelchair spaces are available in all theatres and we can provide assistance with other mobility issues. CTC will honour Companion Cards. You will be required to present a copy of your Companion Card to the Box Office to finalise your booking. An FM radio-assisted hearing system is available for all performances in the Canberra Theatre Centre and The Playhouse. A hearing loop for foyer announcements, forums and speeches operates throughout the Link Foyer and foyer spaces of CTC. The system is accessible via hearing aids with telephone setting. Selected performances in Collected Works 2019 will be live captioned onto screens on stage. Selected performances in Collected Works 2019 may offer a pre-show guided tactile tour of the set and costumes for patrons with low or no vision. Selected performances in Collected Works 2019 will be audio described by trained volunteers from our access partner, Vision Australia. You’ve done your reading on the season, you know what you want to see and you’ve checked your diary – so now it’s time to seal the deal. Book a Collected Works 2019 Season Ticket package to guarantee that you’ll be seeing the best performing arts to come to Canberra in 2019. Our online booking form is secure, convenient and confirmed on the spot. You can create your own Season Ticket package and select your own seats. At the end, you will be asked to add the details for all other Season Ticket Holders in your Season Ticket package – if these details are not provided your Season Ticket package cannot be finalised. If you selected a concession price, you will need to email proof of it to canberra.ticketing@act.gov.au or provide a copy in person at the Box Office. If you have access or special assistance needs, please post or hand in your booking form. Use the brochure form or download a form from our website and post or hand it in to our Box Office. Please include your email address and mobile number and those of any other subscribers in your booking. Show updates such as forums and bar opening times, new show announcements and special offers may be sent via email or free SMS. Provide photocopied proof with your booking form. A photocopied driver’s licence is preferable for Under 27. Your form cannot be processed or finalised until the Box Office receives the copies of your concessions. Canberra Ticketing staff can photocopy your concession if you deliver your form in person. If you would like to access wheelchair seating, audio description or captioning services, indicate the type of assistance you require. Canberra Ticketing staff are happy to help book your Season Ticket package. For general booking enquiries or assistance with completing your form, contact Canberra Ticketing on 02 6275 2777 or email canberra.ticketing@act.gov.au or visit the Box Office. Canberra Ticketing will be open for extended hours, between 9am and 8pm, Monday to Friday until 2 November 2018. Indicate, where requested, whether seating preference or preferred date is your priority. If seating preference is requested, please let us know if you prefer stalls or balcony seating for The Playhouse. 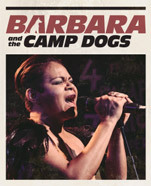 Note: Barbara and the Camp Dogs has limited Premium On Stage Seating. Please choose your preferred date and time for each performance along with an alternative date and time. For selected productions you may purchase additional tickets for friends at the Season Ticket Holder price. Additional tickets are limited to two per Season Ticket Holder and are available only at the time of purchasing your Season Ticket package. For other productions, such as Bell Shakespeare productions, Arlo Guthrie, and Nicole Car you may purchase unlimited additional tickets. However, these tickets will be at single ticket prices. Make sure these are selected as Additional Tickets. Wheelchair spaces are available in the Canberra Theatre and The Playhouse and are located in the stalls. If you are purchasing a Season Ticket with others ensure that all booking forms are returned in the same envelope at the same time, otherwise you will not be seated together. Please include the contact details of all additional patrons. For large groups, please submit forms early. 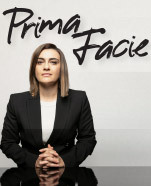 You can exchange your tickets free of charge for any other performance of the same production. Conditions apply and subject to availability. In order to exchange, original tickets must be returned in person to Canberra Ticketing at least 24 hours before the performance. To purchase drink vouchers, indicate on the booking form if you wish to do so, plus the amount of vouchers you need. To pre-order your interval drinks on the night, simply present your drink vouchers to the bar staff prior to the show. Lost drink vouchers are unable to be replaced. Subscriber prices do not apply to preview performances. Patrons attending Gala Opening nights will receive a voucher, sent out with tickets, entitling them entry to the After-show Party. Where there is a Post-show Meet & Greet, the bar will remain open after the event and there will be an opportunity to meet the cast and crew. Canberra Ticketing can charge your credit card half of the total price now, and the remainder on 1 April 2019. A deferral fee of $10 will apply. This option is not available for packages booked online. An email reminder will be sent in March to ensure your payment details for the second payment are still correct. Under 27 prices apply to selected shows.Bell Shakespeare offer Under 30 prices to patrons aged 30 years and under through their Youth Under 30 initiative (limited availability for performances on Tuesdays, Wednesdays and Sundays). For shows where no specific child price is listed, the Under 27 (U27) or Bell Under 30 (Bell U30) price applies. NOTE: While some shows in Collected Works 2019 may be suitable for children, parental discretion is advised. Selected shows offer concession prices. Concession prices are available for pensioners, healthcare cardholders and full-time students. Bell Shakespeare offers a special price for Government-issued seniors card. Seating plans showing seating reserves can be found online at canberratheatrecentre.com.au. Prices listed for single tickets are the advertised ticket price for non-Season Ticket Holders. Take Part is an interactive series of events and activities, such as Pre-Show Conversations and Post-Show Q&As. Some of these activities are already listed in this brochure, however more activities will be announced throughout 2019. Where possible these events are free to Season Ticket Holders. To stay in touch with these events, become an INBOX e-news member at canberratheatrecentre.com.au, like us on Facebook, follow us on Twitter and Instagram, or simply visit the Box Office or call 02 6275 2777. Information contained in this booklet is correct at time of printing.